These pretty flowers make a lovely Easter decoration for the home. Add treats and Easter messages to the plastic egg in the centre. Take a yellow plastic egg and open it so you have two halves. Then take the half that is more pointy and thread both ends of a green pipe cleaner through the two holes. 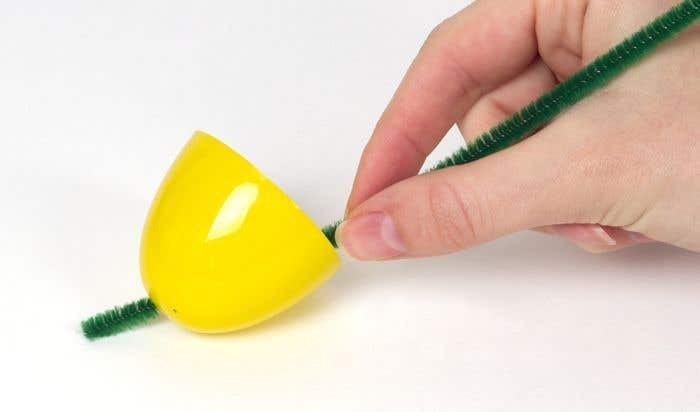 Pull the ends of the pipe cleaner through evenly on the outside of the egg, then twist the ends together to make one stalk. Take the other half of the plastic egg and draw around it on the centre of a sheet of pink foam. Then draw a flower shape around the circle, leaving approximately 1cm gap from the edge of the circle. Cut out the flower shape, then carefully cut out the circle in the centre of the flower. Try to cut the circle very slightly smaller than the line that you drew around the egg. 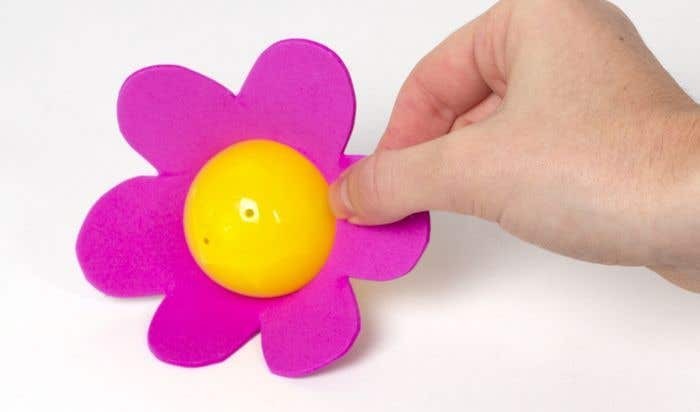 Put the egg back together, then push the flower shape onto the egg until it feels tight enough to stay in place. 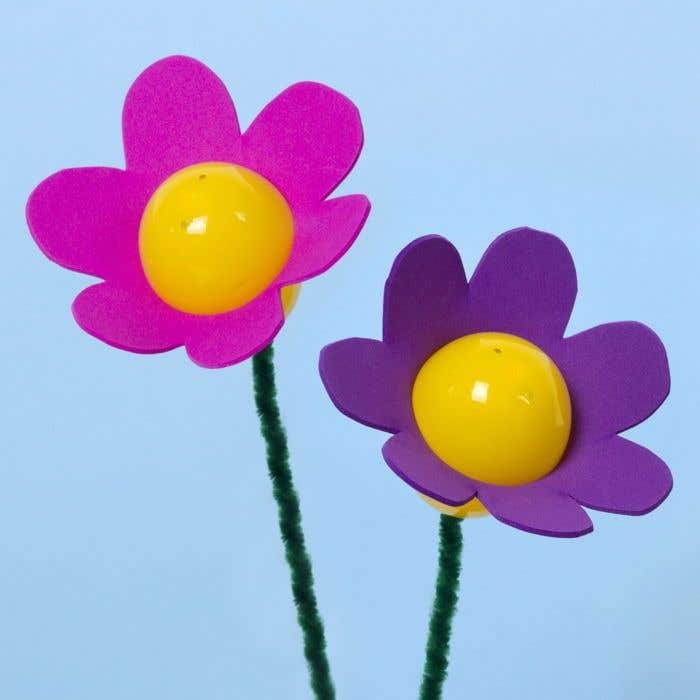 Repeat with different coloured foam sheets to make a range of flowers. 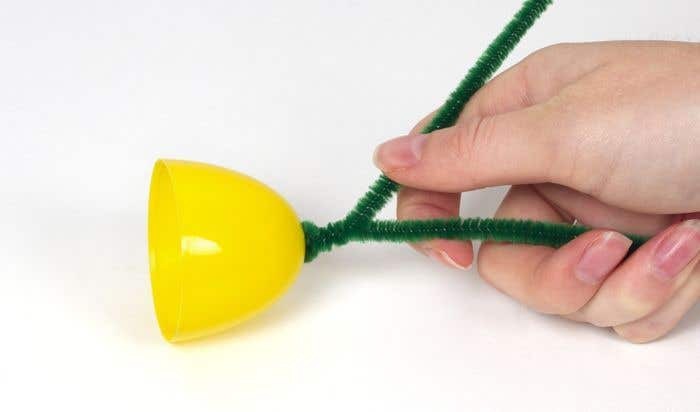 Double up the pipe cleaners to make the stalk stronger.